When the holidays come around, I always get excited about entertaining at our house. There’s just something special about having friends over when the air gets chilly, sitting around a fire and enjoying each others’ company. 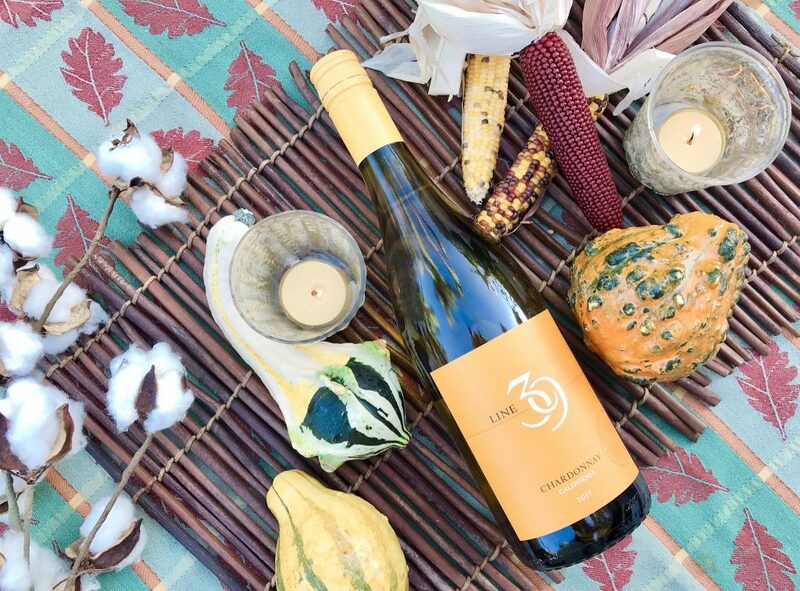 This year we’re celebrating the holidays with Line 39 Wine, and that is bringing next level festivity to our neck of the woods. From California wine country to our house with love, the wines from Line 39 Wine are easy to enjoy – distinctive yet totally approachable. Growing up in Northern California, I was surrounded by wines and grew up to like several varieties that matched my palate. Line 39 Wines are from this area, and are literally named for the region. The 39th Parallel runs through this part of the California wine country. The result is the perfect climate for making good wine. Perfect name for a winery too! 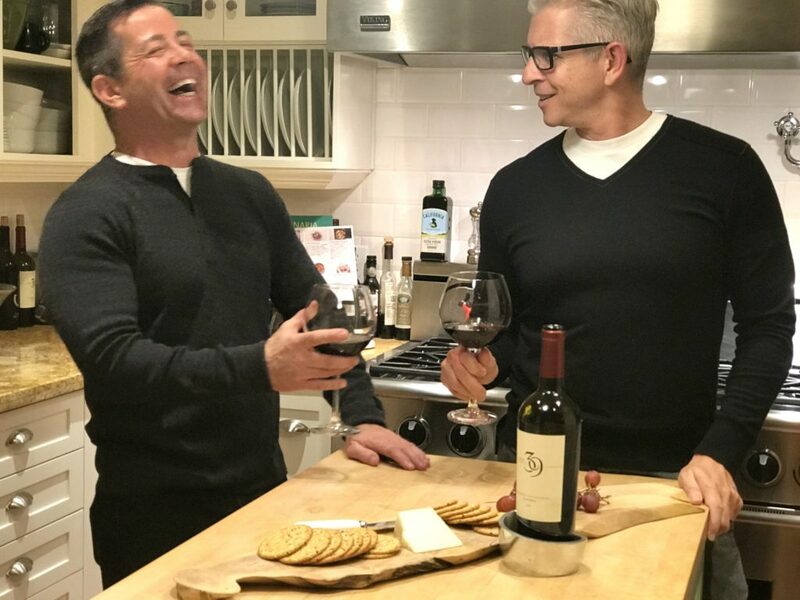 Line 39 Wine sent us a few bottles to try out, so of course we called a friends to come over and share a glass or two. Since we were in the holiday spirit, it was fun decorating the house for the season in advance of our friends arriving. I don’t know why gourds make me laugh so hard, but they always do. There is something inherently funny to me about their odd shapes, random striped patterns and gnarly warts. I just love them. In years past, I may have perhaps been accused of over buying gourds in my obsessive need to decorate with them. This year was no exception, and I went to three different markets to collect just the right menagerie of gourd misfits to place around the house. Throw in a couple ears of brightly colored Indian Corn and BOOM! We’ve got Fall up in here. Before our friends rang the doorbell, we had the charcuterie platters ready, the Line 39 Chardonnay chilled and the Line 39 Cabernet Sauvignon corked and breathing. And the gourds artfully arranged, of course. As our guests get settled, the first question is always the same red or white? To this day, I still cannot predict what someone will answer when asked if they prefer red or white wine. Is it their mood? The kind of day they had? Or maybe it’s the siren call of their taste buds demanding a certain flavor profile? Honestly, we have a lot of friends that are sommeliers or close to it, and I still cannot predict what to pour for them. That’s why we always have both a bottle of red and white on hand. Line 39 Wine sent us a couple of different options to try, and both are delicious. 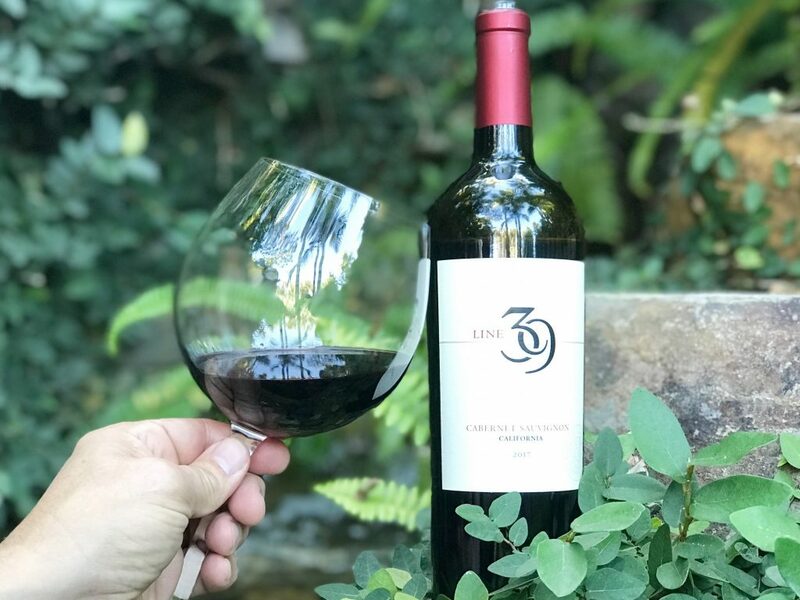 Line 39 Cabernet Sauvignon – This smooth red packs plenty of flavor, with fruity/chocolate hints that don’t overpower. Our wine expert friends said they detected notes of blackberry, pepper and dark chocolate in this rich ruby red pour. It’s suggested that this wine pairs well with hearty dishes like short ribs, garlic mashed potatoes, and slow cooked pork shoulder. Although not an expert myself, I know what I like. And I like the Line 39 Cabernet Sauvignon a LOT. We served it with our charcuterie board containing salume and other cured meats, sharp bleu cheese and fresh figs. 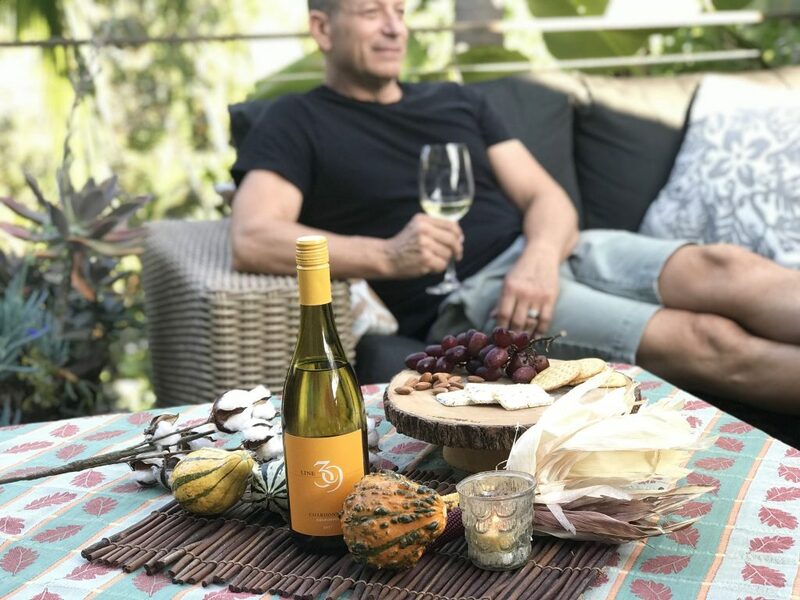 Line 39 Chardonnay – A solid Chardonnay, Line 39 has bottled a rich, medium-bodied wine that is both crisp and refreshing. Among our group of friends, we have several that favor Chardonnay almost exclusively and they loved this wine. Oaky and fruity, Line 39 Chardonnay lightly tickled our palates as we eased into the evening. Pair this wine with roasted chicken, poached fish and other lighter fare. At the end of our little party, there was no Chardonnay left. I guess that tells you the popularity of this wine – in our crowd anyway. At our house, we served Line 39 Chardonnay with Camembert cheese, crackers made with raisins and nuts, and fresh slices of sweet and tangy persimmon I scored at the farmer’s market. Line 39 Wine can be found in most places wine is sold, and comes in at a good value for approximately $11 per bottle. The quality versus price ratio on these wines is darn good. A quick search via the Line 39 Wine website showed me at least a dozen locations where I can buy these wines. They are all within a very short driving distance from our house. With Hanukkah and Christmas coming up, we have lots of reasons to celebrate with Line 39 Wine. We’ll be pouring Line 39 Chardonnay and Line 39 Cabernet Sauvignon at our house. 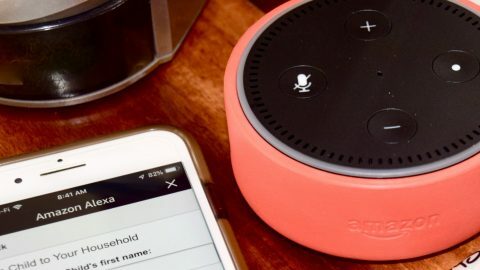 Maybe we’ll bring a bottle or two over to a friends’ party as a host gift too!